The Wait is Over! Smack-N-Shad2 Now Shipping! Over the weekend I was contacted by the President of Redemption Outdoors, Tony Smith, who informed me that the long awaited Smack-N-Shad2 lures were finally in stock and ready for shipping! I told him that I would pass this good news along to my friends and fellow bass anglers at WFN. I have to tell you that these topwater lures are absolutely amazing. Keep reading for some awesome tips Tony shared with me for fishing the awesome lures. If you read the May 2010 issue of Bassmaster, a lure was featured in the magazine that was made by the small company located here in Crossville, Tennessee. 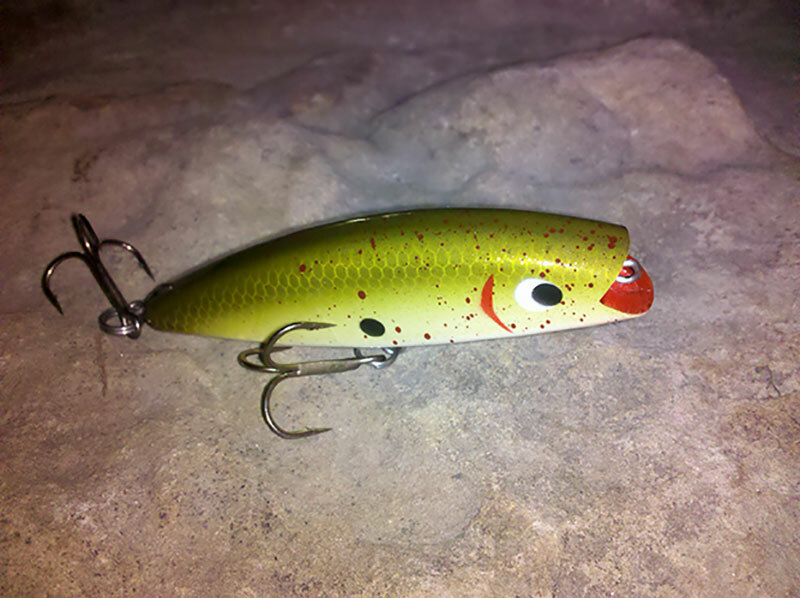 The article created an absolute frenzy among anglers that were seeking the original Smack-N-Shad, which is a hand crafted cedar top water lure, with an awesome 3-stage paint and finish that gave the lure an amazing appeal. With the razor sharp Gamakatsu hooks, and the long cast ability that made the lure one of the finest and most versatile fishing lures to date. As you may have read, or found out, if you were lucky enough to get one, the quality and performance of the Smack-N-Shad was outstanding. However, the demand for this lure far exceeded Redemption Outdoors ability to produce the handcrafted wood version.